Make a date to join us for one of the biggest forest festivals in the north! Another spectacular family celebration of the great outdoors with ancient crafts, music, birds of prey, street theatre and much more. This year also expect dancing sheep and characters from Alice in Wonderland! 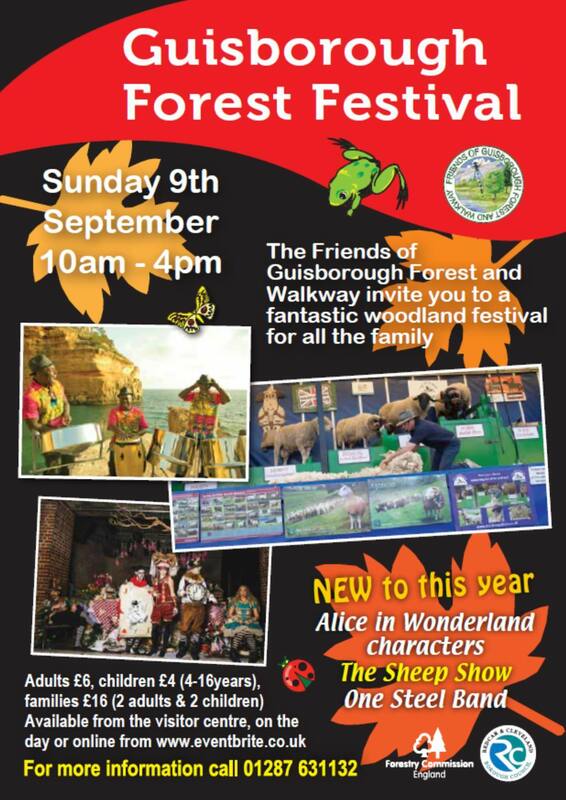 With an orienteering course, trim-trail, sculpture trail and play areas, Guisborough Forest is a great place for a family day out. If you climb the heights of Highcliff Nab or Hanging Stone on a fine day you will be rewarded by fantastic views over Teesside and the coast. Guisborough is a perfect place for a walk with access up on to the North York Moors and beyond. There are 3 waymarked walks around the forest through a range of different woodland types or why not venture up to Roseberry Topping.